In the Spring of 2005, a small but committed group of students pooled their resources and formed UC Berkeley's first Taiko group. The founding members practiced in a fraternity basement, and gradually shifted to the campus' Sproul Plaza, playing on tires and chairs in lieu of drums. One year later, following countless hours of carrying tires to Sproul and slowly hand-crafting the group’s first drums, Cal Taiko had its inaugural performance at Cal Day on April 22, 2006. 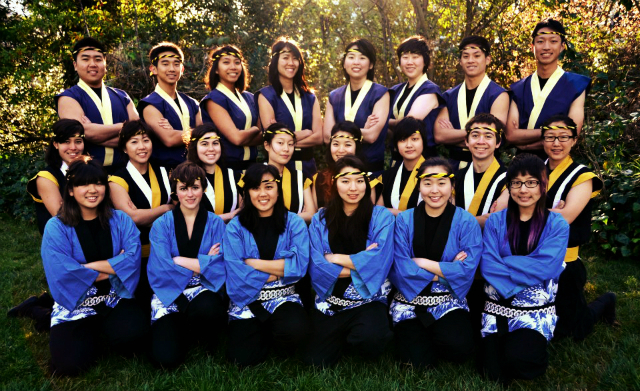 Since then, the group has established its presence on campus as Raijin Taiko, or more casually, "those drummers on Sproul". Raijin Taiko practices two to three times a week and performs original repertoire. We are excited to be a part of campus activities and enjoy sharing the energy of taiko with Cal.